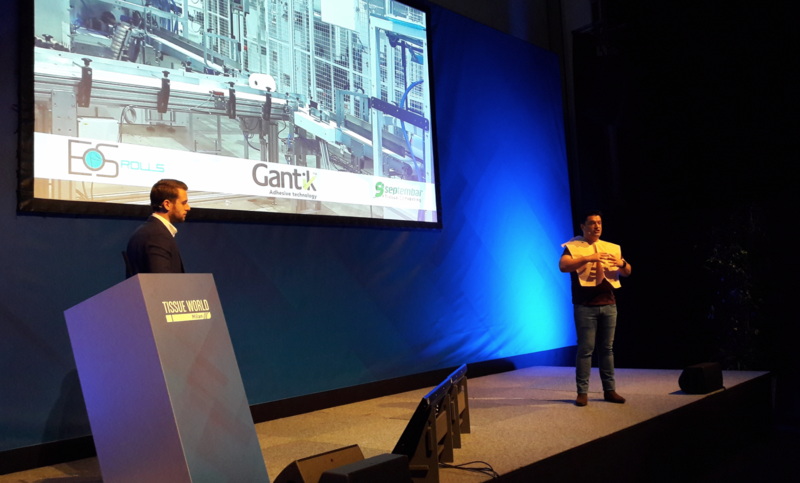 At Tissue World Conference in Milan this week, an interesting presentation delivered by Aleks Tomovic of 9Septembar, the converting machinery manufacturer, and Nick Shaw of Gant Innovations, introduced a new concept of disposable but reusable self adhesive tissue products. The Gantik adhesive offers a silicone free technology, with countless applications, ranging from napkins to car seat covers or surgical and dental clothing. 9Septembar from Serbia contracted a license with Gantik to provide a specially designed converting line. Surely this kind of added-value can make the difference on a very competitive market and attract the interest of some producers.